Jewish-Arab Center at Givat Haviva says Shatil is hosting a panel but not involved in citation honoring President. Yaniv Sagi, the Director of the Jewish-Arab Center at Givat Haviva, rejected on Tuesday the accusations that the Center's citation of honor for President Reuven Rivlin is being granted by the New Israel Fund. “We decided, a year ago, to give a prize and citation at every conference to a public figure who promotes equality and friendship between Jews and Arabs,” Sagi told Arutz Sheva. The recipients of the citation are selected, he added, by an internal committee consisting of himself, Jewish-Arab Center for Peace Director Riad Kabha, Givat Haviva and Yad Yaari Spokesman David Amitai, and Muhammad Darawsha, Director of the Field of Planning, Equality and Coexistence. The Center and the Conference are funded, he said, by the Friedrich Ebert Fund and the Alan B. Slifka Foundation, among others, but neither the Center nor the Conference get any money from the NIF. Arutz Sheva notes that the NIF's own website lists the Center at Givat Haviva among the organizations that receive donor-advised grants. These grants are given by donors and pass through the NIF, but do not come from the NIF's core budget. 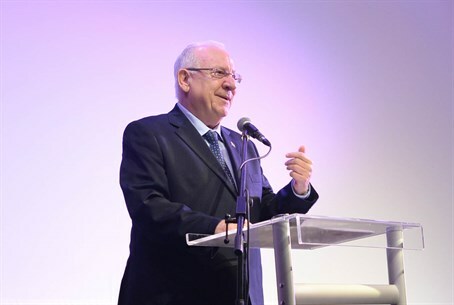 President Rivlin denied Tuesday that he will be receiving a citation of honor from the (NIF on Thursday. The President's Residence issued a statement that said: “The President is not receiving a citation from the New Israel Fund. The President is receiving a citation of appreciation for his activity in all aspects of bringing Jews and Arabs closer in Israel.